While you can learn a whole lot from a single report, a lot of the time the most insight into what’s happening in your business can be gained by comparing two reporting periods side-by-side. Comparative reporting will tell you what’s changed so that you can identify the reason and best gauge what you can do to see the results you want in future periods. 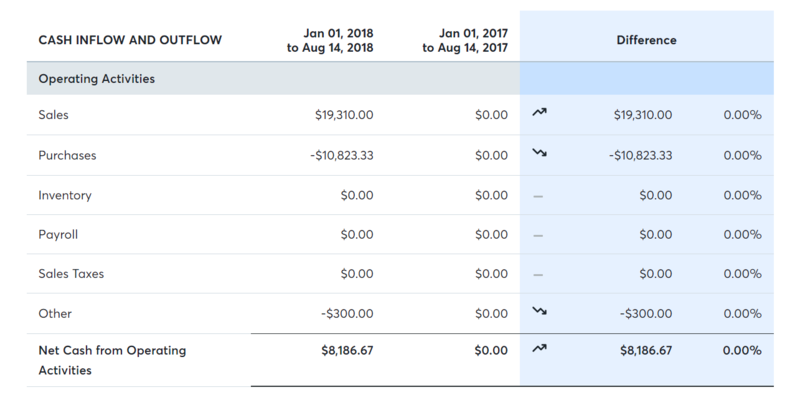 We’ve added the ability to compare two periods directly from your Profit & Loss and Cash Flow Statements. Select the date range that you would like to compare to the current period. When using the comparative reporting feature the first reporting period (Date Range 1 on the left) should be the most recent of the two periods. Once you have updated a report to include two periods, the body of the report will include the totals for each period as well as two new columns: the total change between both periods as well as the change as a percentage value.